· The first step in achieving these goals is providing our classroom teachers an immediate 4% salary increase starting in FY 2018. · We recognize the Executive's FY 2018 budget provides a raise for teachers, but the immediate impact is negligible – a mere .4% increase in the first year does little to address inadequate pay and alarming turnover rates. · The building renewal funding formula to repair and maintain school buildings was repealed in 2013 and replaced with a grants program that is less than one-tenth of what the formula funded. Last September two Glendale elementary schools were forced to close due to emergency repairs. · The Joint Legislative Budget Committee estimates that the now-repealed formula would have generated $289 million for the current fiscal year. The FY 17 budget appropriated just $31.7 million to the building renewal grant program. · Governor Ducey's budget proposal continues hundreds of millions of dollars in annual direct cuts to schools for school maintenance and soft capital like technology, textbooks and classroom supplies. · Democrats propose reinstating the building renewal formula in statute and increasing funding 10% per year until the formula is fully restored. · Addressing soft capital needs is critical to supporting our schools and requires an intentional effort to reverse these devastating cuts to education. Suspensions of these district and charter additional assistance formulas have totaled more than $2 billion since 2009. · Democrats propose increasing funding to District Additional Assistance by 10% per year until the formula amount is fully restored. · Approved by the voters on the 2000 general election ballot, Prop 301 monies provide a key source of financial support for schools and are scheduled to expire in June 2021. · Democrats propose referring Proposition 301 renewal to the 2018 General Election ballot and increasing the amount from .6 to 1 cent, which would generate over $400 million additional dollars to support teacher pay increases, reduce classroom sizes and begin to turn the corner on our statewide teacher recruitment and retention crisis. · 77% of Arizonans want to renew Prop 301 and 65% agree with Democrats that we should renew at a full penny. Now is the time to make that commitment to the children of our state. (SFC). · 30% of our school buses fail safety inspections and schools are constantly forced to prioritize building repairs over basic needs because of lack of funding. · Democrats support using the $48 million in funding received from the Volkswagen Emissions Settlement for the purpose of purchasing or updating school buses in the K-12 education system. With a population of nearly 7 million and growing, the need for vital state services and infrastructure will not diminish. Nonetheless, our current tax structure is stacked against the middle class and favors special interests. Reckless cuts have left Arizona without the revenue needed to meet the long-term needs of our state's population. We need tax reforms that more fairly impact taxpayers and create a consistent source of revenue to fund the priorities that voters have repeatedly said they value. Legislative Democrats are committed to starting a statewide conversation about how to fund the education system our voters and the business community strongly support. Our state's future economic development prospects are directly tied to educating the workforce needed for our businesses to grow and compete in a global marketplace. · Require the nonpartisan Joint Legislative Budget Committee to review the return-on-investment for all tax expenditures to determine if they create new economic activity, generate revenue and lead to quantifiable job creation. · Cap the School Tuition Organization (STO) corporate tax credit expansion and allocate the savings to teacher recruitment, retention and training. This will save $12 million in revenue in just the first year. · According to a recent study by the non-partisan Grand Canyon Institute, Arizona could increase annual revenue by $70-100 million dollars by hiring 100 additional collectors and auditors plus needed support staff. · Create a state finance review task force comprised of legislators, agency representatives, economists, business and community leaders and stakeholders to review the expenditure and revenue sides of the state budget and recommend a reform package that provides for adequate and sustainable funding. The Legislature should ensure that the revenues of the state are sufficient to address the essential functions of government. Fund sweeps and other gimmicks are not an acceptable way to build a sustainable and structurally balanced budget. Elected officials, community members and health care advocates gathered at the House of Representatives today to share their concerns about the affects of the #ACARepeal bill. Rep. Powers Hannley encourages Arizona lawmakers to pass and #EqualRightsAmendment bill. Nevada just passed one - meaning the country only needs two more states to agree to an amend for the Constitution to ensure equal protections for women. ICYMI Democrats will be travelling across the state and holding town halls on community budget priorities. Democrats want to ensure that your voices are heard. We've worked with the community to create policies that reflect our shared values. We will continue to do this through the upcoming budget process. Our vision for Arizona is inclusive, prosperous and fiscally responsible. We remain committed to investing in policies that will improve our quality of life now, while promoting a stronger, more sustainable future. These policies start by focusing on education, jobs, health care and building a better future. Arizonans demand that our government invest in people, support families and businesses and establish a framework for Arizona to prosper. These solutions come from the community, and we need the community to continue to fight for our Arizona. Democrats are looking forward to discussing our shared budget priorities with you at our budget town halls. Join the conversation using the hashtag #BeHeard. Our first town hall will be in Flagstaff. Dates for the rest of the town halls are below. Information will be updated regularly. 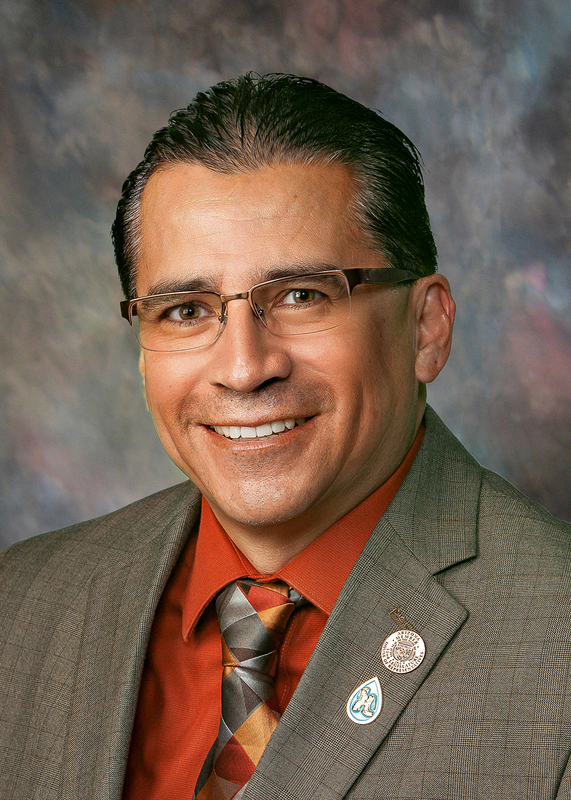 "I support the Arizona Supreme Court Justices' unanimous decision to reject the attempt to overturn Proposition 206, which requires an increase in the minimum wage. Voter-approved citizen initiatives are a vital part of a responsive, community-driven government. 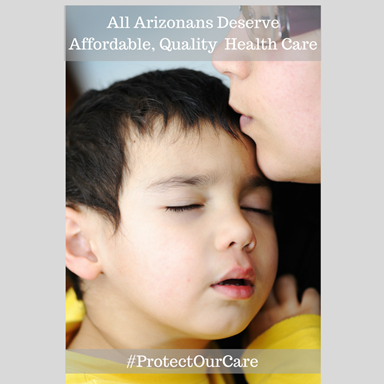 This decision supports the will of the people and the well-being of Arizona families. "I would like to also recognize the work of Living United for Change in Arizona (LUCHA). This group of dedicated community members brought urgency to this issue by creating a movement in Arizona. Their efforts have made the importance of an increased minimum wage well-known in this state. This is a victory for Arizona families." Democrats want to ensure that your voices are heard. We've worked with the community to create policies that reflect our shared values. We will continue to do this through the upcoming budget process. We will be travelling across the state and holding town halls on community budget priorities. Democrats are looking forward to discussing our shared budget priorities with you at our budget town halls. Our first town hall will be in Flagstaff. *This presentation will be in Spanish. STATE CAPITOL, PHOENIX – The members of Arizona's Indigenous Peoples Caucus issued this joint statement of support for those protesting the Dakota Access Pipeline both in Washington, D.C. and in Arizona. "We stand in solidarity with our brothers and sisters who are bravely opposing the Dakota Access Pipeline. There are members of American Indian nations from all over the country who have joined together at the U.S. Capitol for four days of protests. Tomorrow they will march on the White House. Ensuring our voices are heard is critical to protecting our values, our lands and our traditions. We commend those who are doing that work in Washington, as well as those who are working so hard to bring the same attention to these issues here in Arizona. This fight is not over and we must remain united." 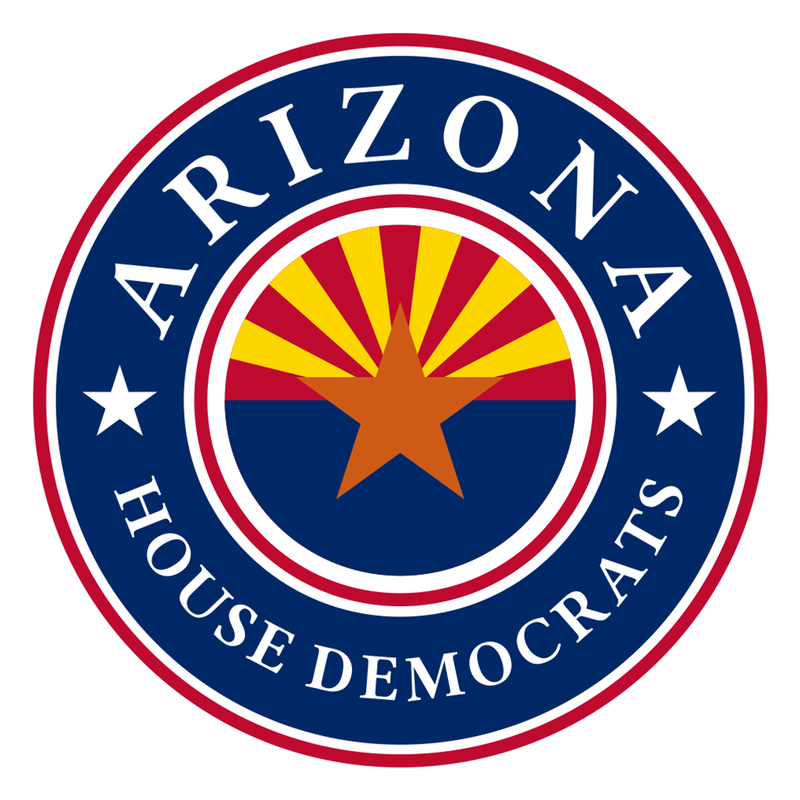 (PHOENIX) Promise Arizona will host about 100 constituents from Phoenix Valley and Tucson for the organization’s annual visits with state legislators today. “Our community’s priorities are no different than those of all Arizonans. We care deeply about education, voting rights, immigration and other major issues. 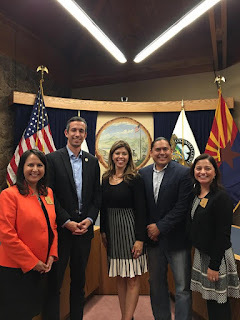 What is different is that whenever those issues go unaddressed, our families often suffer serious consequences,” said Petra Falcon, executive director of Promise Arizona. WHEN: Today, March 7, 2017 / Press conference, 10 a.m.; legislative visits 10:30 to 1 p.m.; lunch meeting with legislators in the Rose Garden at noon. The Council on American Islamic Relations of Arizona (CAIR-AZ) along with local allies, leaders and interfaith partners will be holding a press conference tomorrow morning, addressing the revised Executive Order by the Trump Administration. Other local leaders representing the communities impacted by the travel ban will also be speaking at the press conference. The Council on American-Islamic Relations (CAIR) is a grassroots civil rights and advocacy group. CAIR is America's largest Muslim civil liberties organization, with regional offices nationwide. CAIR's national headquarters are on Capitol Hill in Washington D.C. Since its establishment in 1994, CAIR has worked to promote a positive image of Islam and Muslims in America. "Teachers fear they won't get paid after Gov. Ducey rejects funding." This is another recent headline this month reaffirming the crisis in our classrooms. Apparently, the governor is refusing to fund the Arizona Department of Education's IT department, which, according to an ADE employee, is the "hub of the entire education system." It handles a host of vital projects, including keeping student attendance and issuing teachers' paychecks. Some teachers and ADE employees are bracing for the fallout, according to Arizona Superintendent Diane Douglas, who criticized the state for failing to fund public education. Funding the IT department is a real problem that needs a real solution – one that costs an estimated $17 million. This issue only exacerbates the fact that Arizona nationally is dead last in teacher pay. The governor and his friends are patting themselves on the back for offering teachers an insulting raise that amounts to about $2 a paycheck. Instead of finding substantive ways to correct this, Republicans have spent years pushing to expand controversial voucher programs that pull money away from public schools and are being recognized nationally as a shell game. This is a crisis that the Republicans have created. 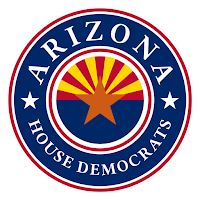 House Democrats are focused on creating solutions for Arizona, while Republicans are focused on advancing their political agenda. House Democrats are committed to finding ways to pay our teachers a wage that reflects their contributions to our state and our kids. Finding the money to do so is a matter of priorities. House Democrats have offered a package of bills that will get teachers the 4 percent raise they are asking for while prioritize solutions for other problems facing our kids' schools. These solutions come from the community, and we need the community to continue to fight for our kids' classrooms. 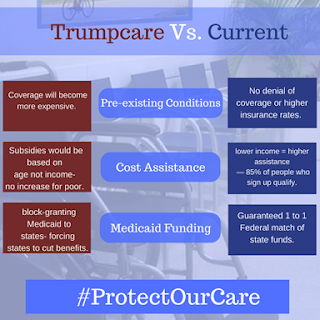 Call your legislators and tell them you want the budget to reflect your values. 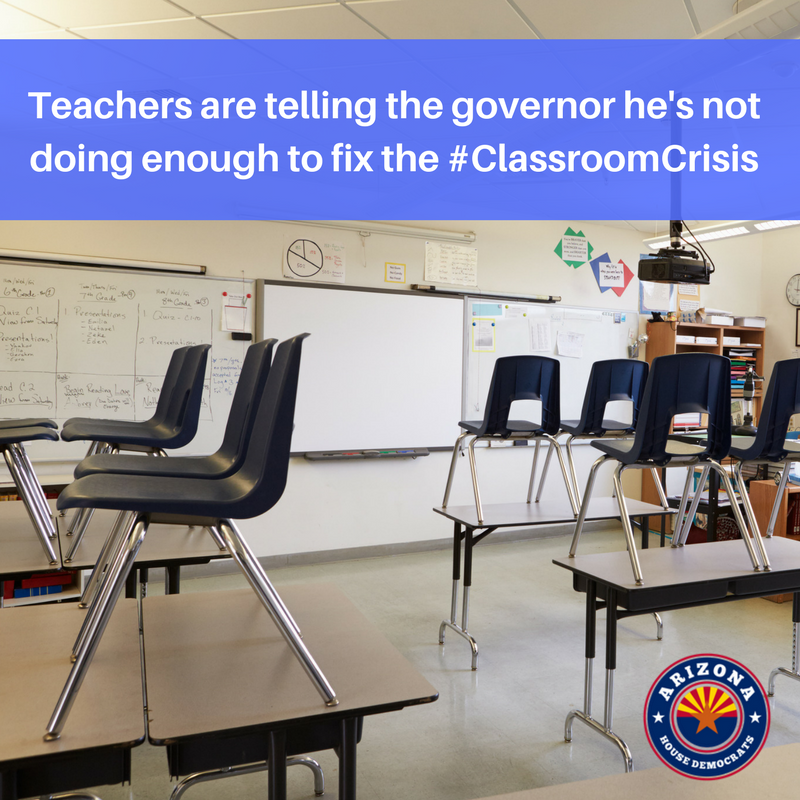 We know what the right priorities are for Arizonians and we can do much better for our hardworking teachers and students. Let us stop being the country's model for shell games that hurt our kids and our future. STATE CAPITOL, PHOENIX – The 2017 Indigenous Peoples Caucus announces membership for the 53rd Legislative Session. The contact information for the caucus members is below.